In the September 2015 issue of Aeqai, I discussed Cincinnati’s cultural building boom, as evidenced by the renovations and expansions at Christ Church, Cincinnati Union Terminal, and Music Hall. Now we are seeing additional major building projects for performing arts programming in Downtown Cincinnati and in Downtown Middletown. In November, the Cincinnati Shakespeare Company unveiled plans for a new theater complex at the southwest corner of 12th and Elm streets, opposite the School for the Creative and Performing Arts. At present, the ensemble company operates out of cramped offices and an inadequate performance space in a former movie theater on Race Street near Garfield Place. Audiences for the company’s 200+ productions of Shakespeare and other classics have grown each year, and many performances, such as last week’s staging of Arthur Miller’s Death of a Salesman, are sold out. The new theater, which will be named for lead donor Otto M. Budig, will allow for more seats in the house (244 instead of the current 150), adequate production and staging space, and facilities for education and administration. 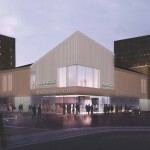 The design challenge has been to match plans to budget and to fit the bold new structure gracefully into the existing cultural and architectural environment, which is dominated by such Samuel Hannaford icons as Music Hall and Memorial Hall. 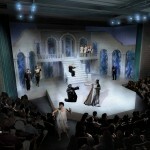 GBBN Architects, this city’s premier theater designer, has conceptualized a beautiful, functional plan for Shakespeare. It fulfills the institutional needs for office and production spaces along with inviting, commodious public spaces suitable for performance, educational, and social activities. This is especially important because Shakespeare is dedicated to working with schoolchildren. For the past two years “Project 38,” a major outreach program for youth has been staged in Washington Park and Memorial Hall. That relationship will continue and prosper in this new location. 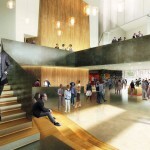 The architects have encouraged interaction between the theater company and the neighborhood with the abundant use of glass on the ground floor. Windows and shallow balconies will allow theater patrons and actors to observe activities in the park and on the street. This is a building that will be “of” as well as “in” the city and the OTR. At night, the interior lighting will illuminate a path from Central Parkway to Music Hall, adding to the sense of community and safety. 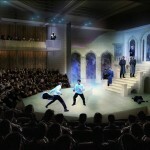 Inside, the dramatic thrust stage will provide an intimate, close-up encounter for the audience. The GBBN architectural design team led by Steve Kenat has selected brick and stone materials, which pay tribute to Cincinnati’s strong masonry tradition. As Kenat explains, “the pitched roof and vertical windows recall the formal attributes of neighboring civic buildings in Over-The-Rhine.” The façade was inspired by London’s National Theatre and the interior by the Globe. Still, the new building will be “of its time,” with a distinctive character of its own. CSC also engaged Schuler Shook Theatrical Consultants and Kirkegaard Associates to advise on the acoustics. Messer Construction will begin building in the first quarter of 2016, and the fall 2017 season will open the new theater. The CSC board and staff are to be commended for preserving the extant historic structure on the plot (the historic Teamsters’ hall facing 12thStreet), and for replacing the nonconforming one (the former DropIn Center) with a handsome, functional, performing arts complex. The Otto M. Budig Theater will be a boon for the education of schoolchildren in our region, a stimulus to the local economy, and another brilliant jewel in the Queen City’s crown. Meanwhile, to the north in Middletown, civic leaders have embraced the notion that an historic opera house and performing arts are cultural assets that will contribute to urban revitalization and economic development in that city and the region. A trio of nonprofit entrepreneurs from Northern Kentucky is spearheading the Sorg Opera House Revitalization Group (SORG), which is restoring and updating the 1891 theater and commercial complex at 300 North Main Street. 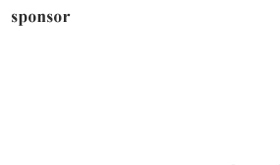 Chuck Miller, Ken Bowman, and Denise Brodsky are the nonprofit organization founders and the board officers charged with revitalization of the Sorg. Paul J. Sorg (1840–1902), an industrialist and former U.S. Congressman, commissioned the opera house as a gift to his adopted community. (He moved from Cincinnati to Middletown to establish a tobacco warehouse and then a paper plant, becoming the city’s first multi-millionaire.) Famed Cincinnati architect Samuel Hannaford designed the Sorg family’s palatial residence on South Main Street. Subsequently, the Hannaford firm designed the handsome Richardsonian Romanesque theater, which opened in 1891. Both the mansion and the opera house are distinguished by the imposing stonework, carved woodwork, and decorative art glass and tile. 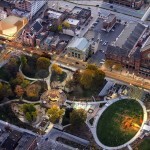 Cincinnati Architects Jeff Raser and Art Hupp lead the architectural team at Glaserworks, which designed project plans. 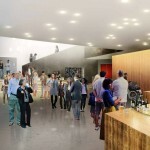 The renovated 950-seat theater will be suitable for drama, musicals, film, and civic functions. Public spaces include a grand ballroom and reception areas. The commercial tower and ground floor suites will be available for office and retail rental. Original estimates for the SORG campaign were $8 million, but volunteer leaders are persuaded that the building has been stabilized and can be reopened while fundraising continues. Both Shakespeare SORG are in the public phase of their capital campaigns, seeking gifts and grants, large and small. 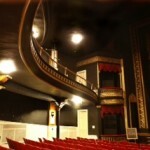 Visit http://cincyshakes.com and www.sorgoperahouse.org to learn more and contribute. Full disclosure: My husband serves on the board of trustees of Cincinnati Shakespeare Company. Mark and I have been season subscribers of the Shakespeare company since its founding, and we enthusiastically supporter its new building program.